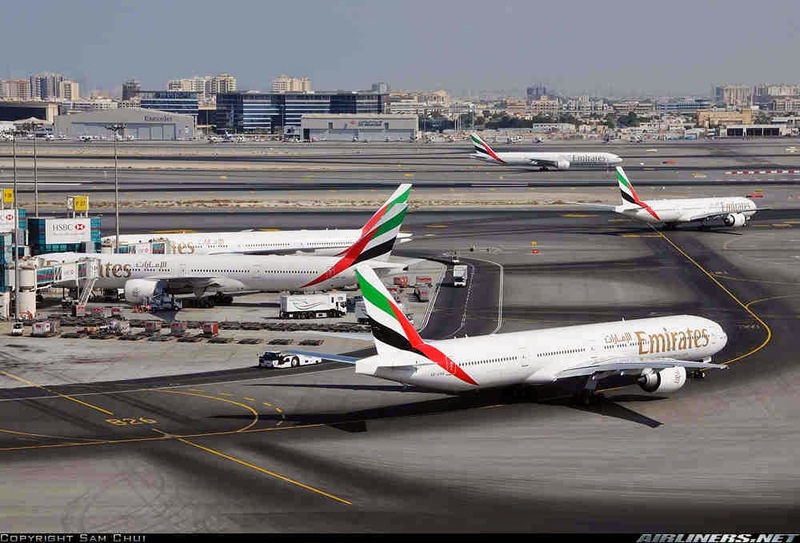 Aviation Updates Philippines - Government agency, the Civil Aeronautics Board, granted Emirates' request, for the third time, for a 30-day extension on its extra third daily flight between Manila and Dubai. The extension will continue until January 26, 2015 amid protests from Philippine Airlines and Cebu Pacific Air. Civil Aeronautics Board's Carmello Arcilla said that they granted Emirates' request of another 30-day extension due to the high demand of passengers traveling between the United Arab Emirates and the Philippines. Arcilla also said that this is the third and last time for Emirates to receive another extension, it will no longer entertain further extensions. "The board's action is premised on the need to assure that passengers, especially the big volume of OFWs traveling to and from the Philippine during the holiday season, would not be inconvenienced or dislocated," he said. Emirates was recently given an extension until December 26, 2014. However, the carrier continued selling its tickets for its third daily flight. But according Philippine Airlines and Cebu Pacific, those first two extensions were illegal. “We are grateful to the authorities in the Philippines for granting an extension on our third daily flight from Manila to Dubai up to 26 January. It is a positive decision that will provide passengers with uninterrupted travel plans, offer increased options for travel during the busy festive season, and one which will be welcomed by the thousands of Filipino travelers and businesses who prefer to use our services to get to Dubai and beyond," Emirates Divisional Senior Vice Presdient for Commercial Operations East, Barry Brown said. "At Emirates, we remain committed to the Philippines and will continue to work closely with the Civil Aeronautics Board to ensure a satisfactory outcome for all stakeholders. We hope that the interests of consumers and the business community will continue to prevail,” Brown added. Both Philippine Airlines and Cebu Pacific said that Emirates' request for extension is just a "camouflage" so that its extra third daily flights will be legal. “Its claim that national interest warrants the extension is but a cover to their real motive which is to legitimize a third daily flight between Manila and Dubai,” both airlines said in a statement. The airline also requested for a renewal of air talks between the United Arab Emirates and the Philippines. However, the two Philippine carriers opposed it as it was again a camouflage to legitimize its third daily flight. In the current Philippine-United Arab Emirates Confidential Memorandum of Understanding (CMOU), Emirates is only allowed to operate 14 flights per week or 2 daily flights between the two destinations. Emirates recently received a P1.8 million penalty for the Civil Aeronautics Board after it continued to sell tickets on its extra third daily flight between Dubai and Manila until next year. The agency has immediately order Emirates to desist from selling tickets for a third daily flight for schedules beyond December 26, 2014. However, Emirates said that it is not seeking more flights to Manila. But its third daily flights have long been an important of its service which was implemented in January last year. It has been operating the Dubai-Manila service since 1990, it said.